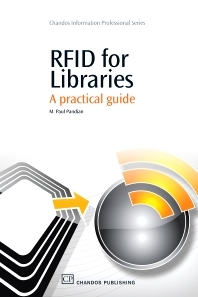 RFID for Libraries; RFID systems for libraries: A review; RFID implementation in libraries; RFID issues; Future Developments of RFID. Dr M Paul Pandian is Head of Library and Information Resource Centre at the Institute of Mathematical Sciences, Chennai, India. He was earlier the Head, Library and Information Resource Centre at the Indian Institute of Management, Indore, India and Scientist at INFLIBNET, UGC, India. He holds PhD in Library and Information Science from Karnatak University and Associateship in Documentation and Information Science from Documentation Research and Training Centre, Indian Statistical Institute, Bangalore, India. His research interests are digital libraries, library consortia, standards and protocols, web based information services, and Knowledge Management.